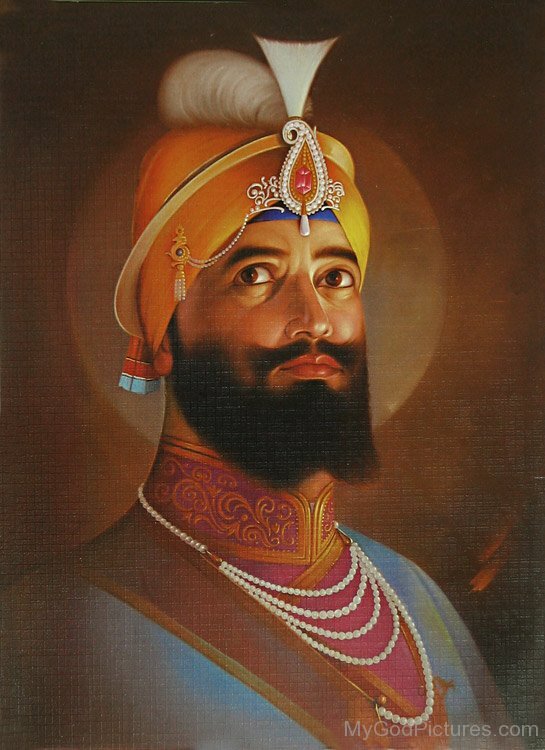 Guru Gobind Singh (22 December 1666 – 7 October 1708), born Gobind Rai, was the tenth Sikh Guru, a spiritual master, warrior, poet and philosopher. When his father, Guru Tegh Bahadur, was beheaded for refusing to convert to Islam, Guru Gobind Singh was formally installed as the leader of the Sikhs at age nine, becoming the tenth Sikh Gurus. His four sons died during his lifetime in Mughal-Sikh wars – two in battle, two executed by the Mughal army. Among his notable contributions to Sikhism are founding the Sikh warrior community called Khalsa in 1699 and introducing the Five Ks, the five articles of faith that Khalsa Sikhs wear at all times. Guru Gobind Singh also continued the formalisation of the religion, wrote important Sikh texts, and enshrined the scripture the Guru Granth Sahib as Sikhism's eternal Guru.